My love for savoury taste has somewhat reflected in my choice sweet treats. 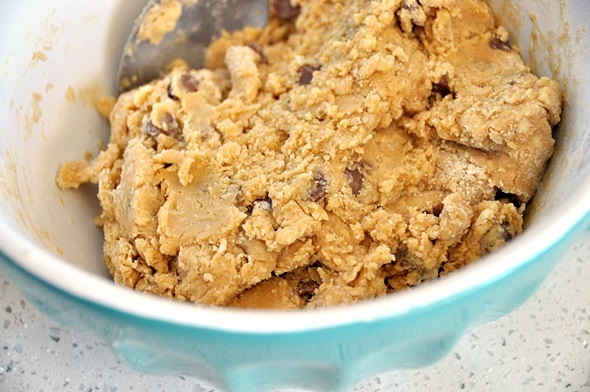 I love the combination of salty and sweet which explains anything with peanut butter and chocolate is a yes for me. That was before the start of salted caramel trend of course! 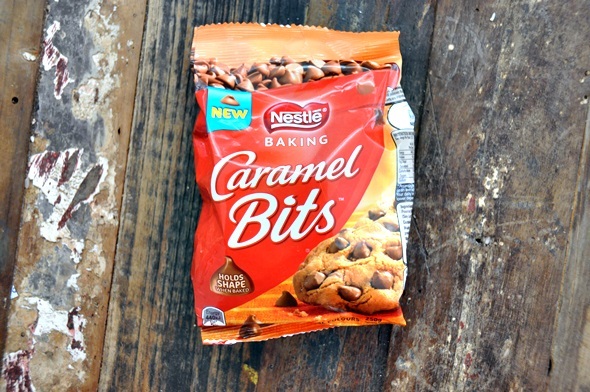 My recent purchase of the new Nestlé Caramel Bits has prompted me to bake these baked goods which will be holiday treats worthy in the next two months. What? Thinking about holiday treats already? Yesterday when I was shopping in Big W, decorated Christmas trees were already on display as well as an entire section of tinsels and trinkets has already been set up. I can’t believe that we are already in the last quarter of the year. And should I mention this is the “fun quarter”? Yes, I cannot wait for holiday season to commence. 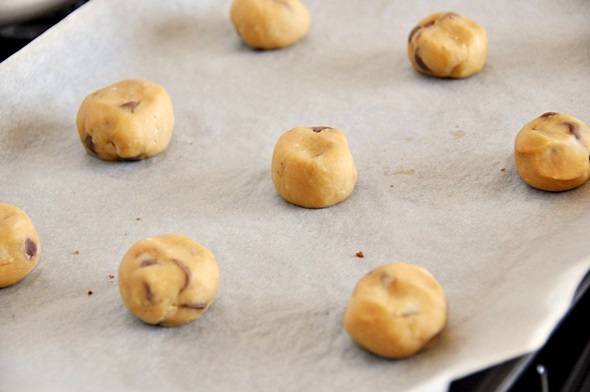 To make the cookies: Preheat oven to 170C (338F)/150C (302F) Fan Forced. Line 2 baking trays with baking paper. 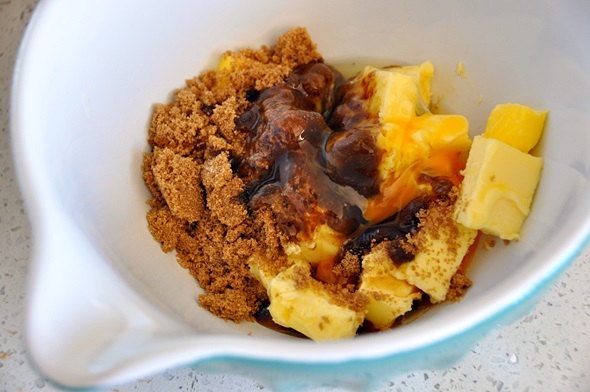 Place butter, brown sugar and egg in a bowl and beat until the mixture is pale and creamy with an electric mixer. 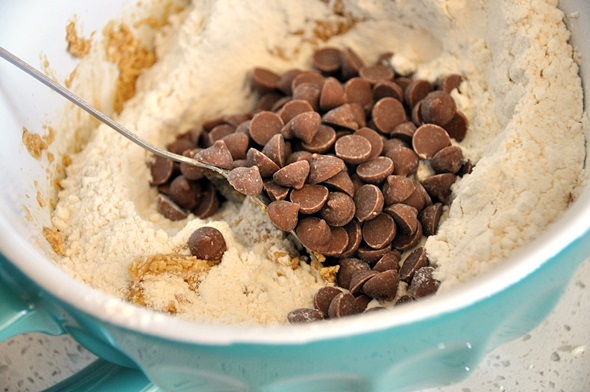 Stir in self-raising flour and add Nestlé Caramel Bits. Mix until well combined. Roll level tablespoons of mixture into balls, place on prepared trays about 4cm apart, flatten slightly. Bake in oven for 15 minutes or until golden brown. Set aside on tray for 5 minutes to cool; transfer onto a wire rack to cool completely. To prepare chocolate drizzle (source: www.taste.com.au): Break the chocolate into smaller pieces and place them into a heat proof bowl that fit snugly in a saucepan. Half-fill saucepan with water and bring to a simmer. Place bowl on top, making sure it doesn’t touch water (or it will overheat). Stir with a metal spoon until melted. Avoid wooden or plastic spoons – these retain moisture that makes chocolate seize (harden). 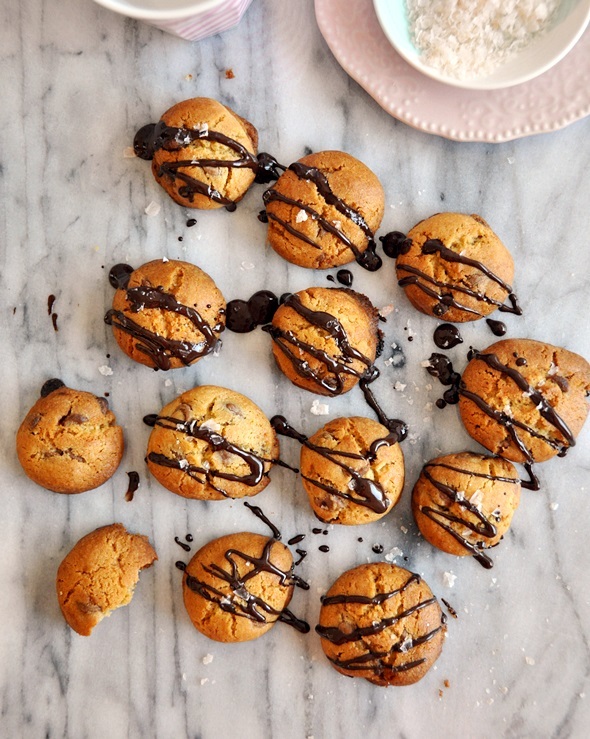 Finishing touch: Drizzle with chocolate over the cooled cookies and sprinkle a tiny pinch of sea salt flakes. Allow the chocolate to set and harden before serving. 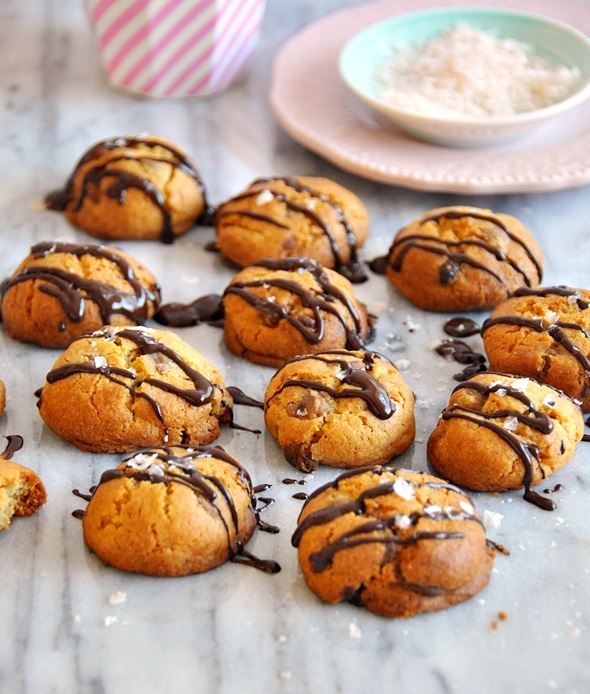 I’ve never had those caramel bits but the cookies sound great!